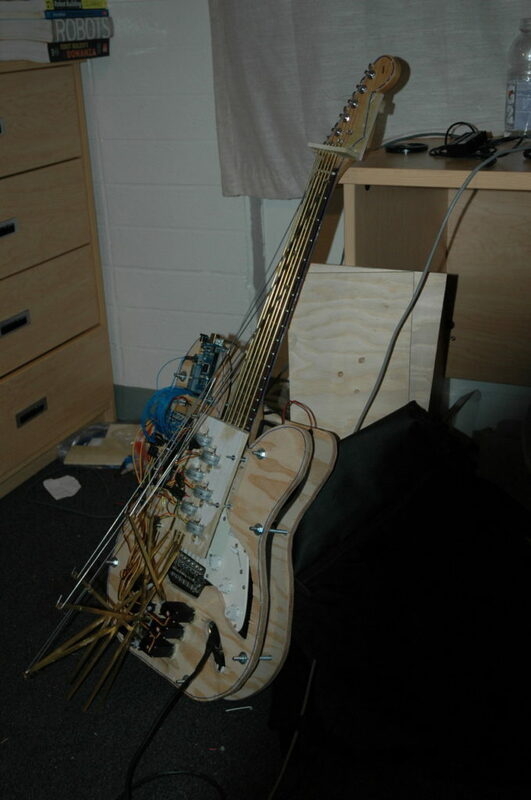 This is a robotic guitar that I built as a final project for one of my classes at CalArts. The original project was to design a software instrument for a live performance with the rest of the class, where we would re-score the original Tron movie. I had been playing with communication between Processing, ChucK, and Arduino at the time, and decided to take it a step further. This instrument was assembled over the course of a month out of plywood, brass, and hot glue. Lots of hot glue. 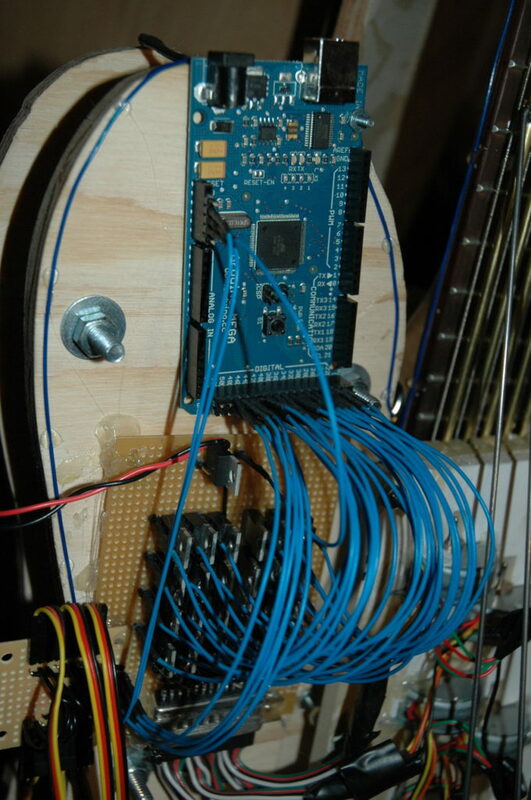 The entire assembly was built so that it was not permanently attached to the guitar, and could be removed if needed. The main board was an Arduino Mega. The blue wires shown here run over to a control circuit I put together to control the stepper motors being used for plucking. I wrote all of the Arduino code needed, including building my own library with classes to handle the servo and stepper motor positions. 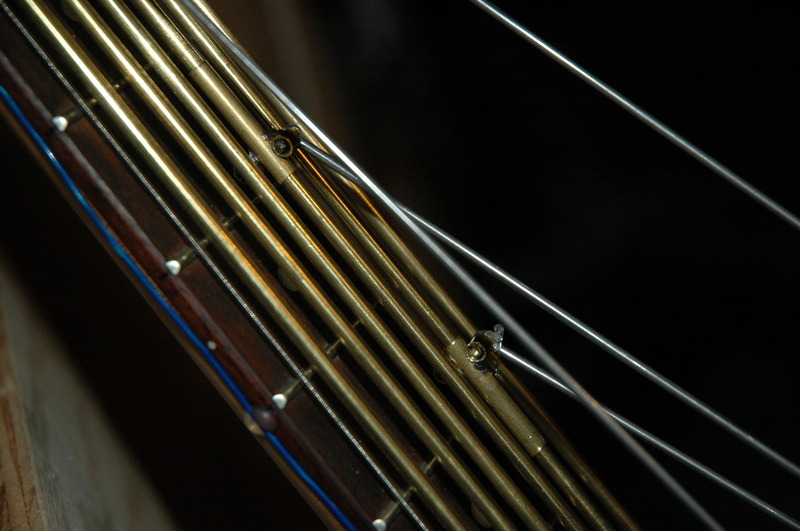 Each string had an individually movable slide that could go from the 1st to the 12th fret. The slides are shown here. 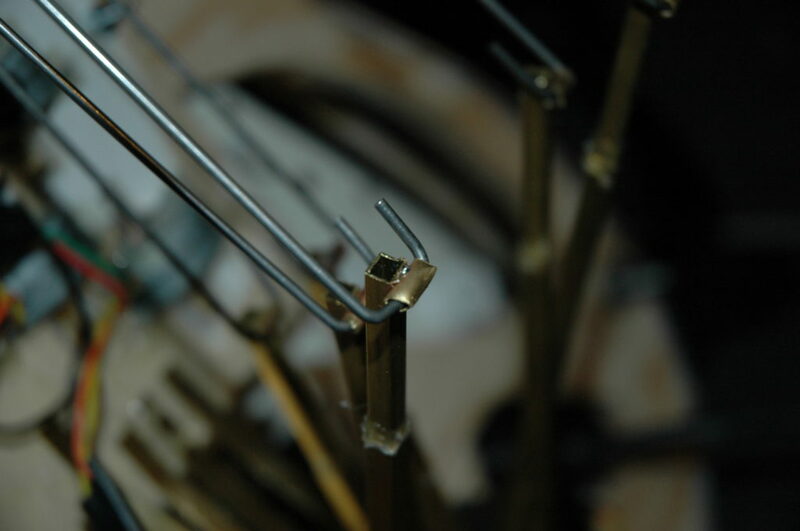 They were brass tubes soldered together that ran along a brass rod. 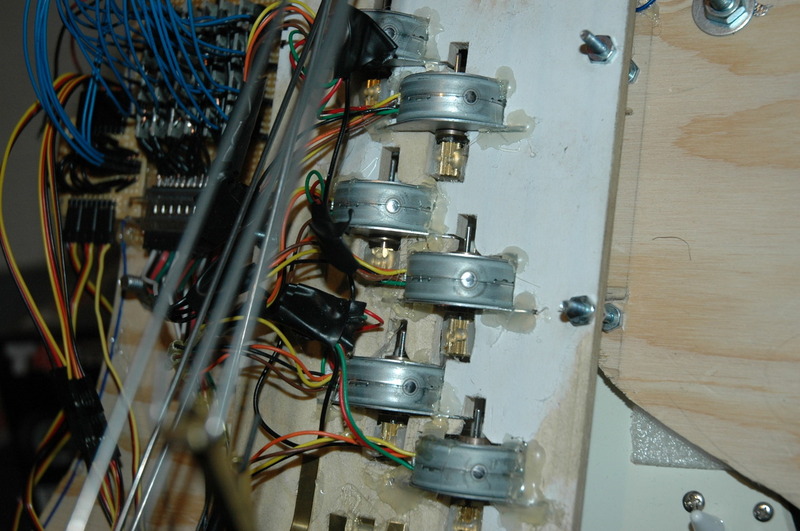 Here are the stepper motors used for the plucking mechanism. Underneath this board, there are plastic “picks” that I made that were glued to the motors. I learned during the performance that, unfortunately, large electromagnets over electric guitar pickups do not exactly result in the best sound. For the show, I ended up using filtering to eliminate the sharp buzzes that would occur every time the guitar plucked. Close up of one of the slider arms. 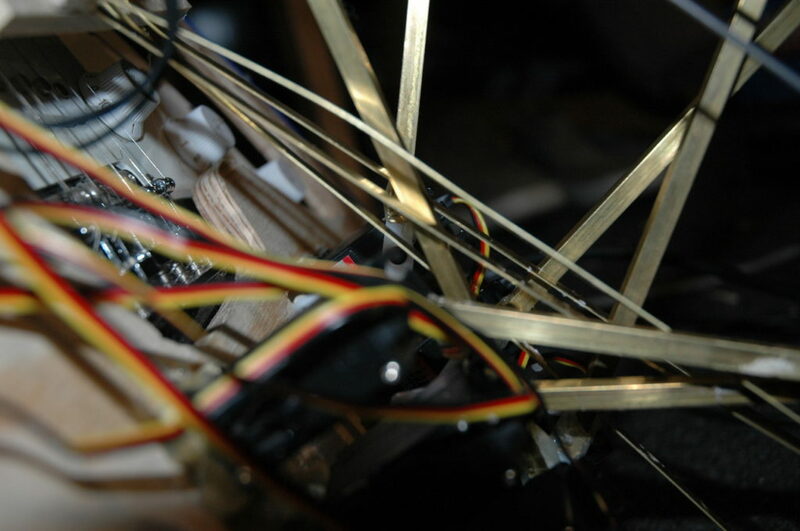 Close up of the servos for the slider arms.